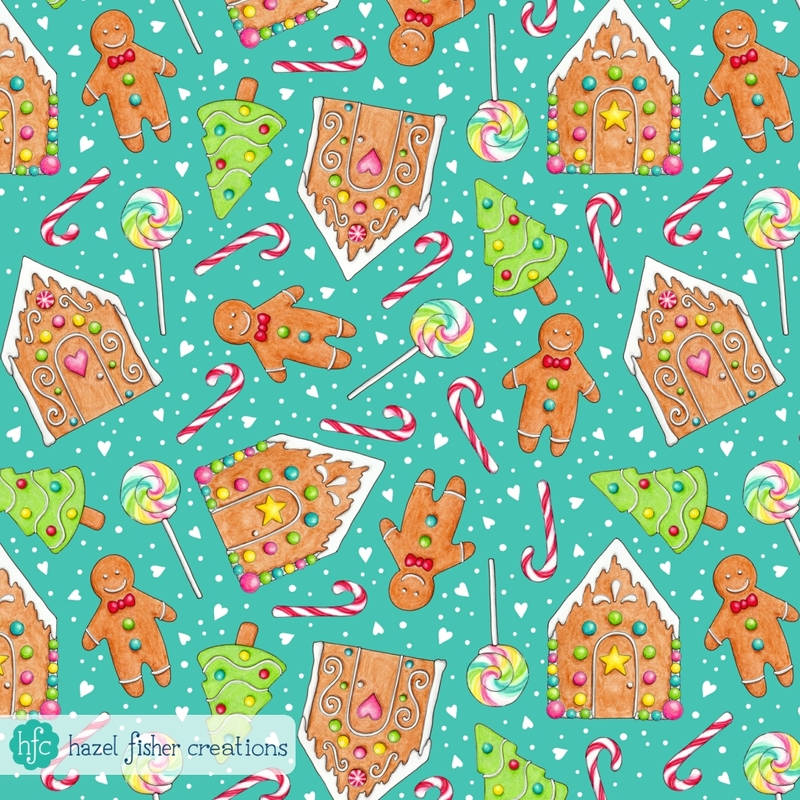 With such a fun theme I couldn't miss out on designing for Spoonflower's Gingerbread contest! This colourful design is created from my pen, watercolour, coloured pencil and felt tip pen illustrations of gingerbread houses, gingerbread men, Christmas trees, candy canes and lollipops. This was a really fun design to make and I loved working with these colours! Spoonflower is joining in with the Black Friday / Cyber Monday deals - get 10% off 1+ yards of fabric, rolls of wallpaper and gift wrap until Monday 27th November 2017 11:59pm EST.